Are you a fan of Marble Madness, Marble Blast, Super Monkey Ball, or really any other game about balancing a ball around a tricky track? If the answer is yes then head over to the Kickstarter campaign for Momentum right away. It’s a brand new physics-based platformer with players guiding a ball around every stage. 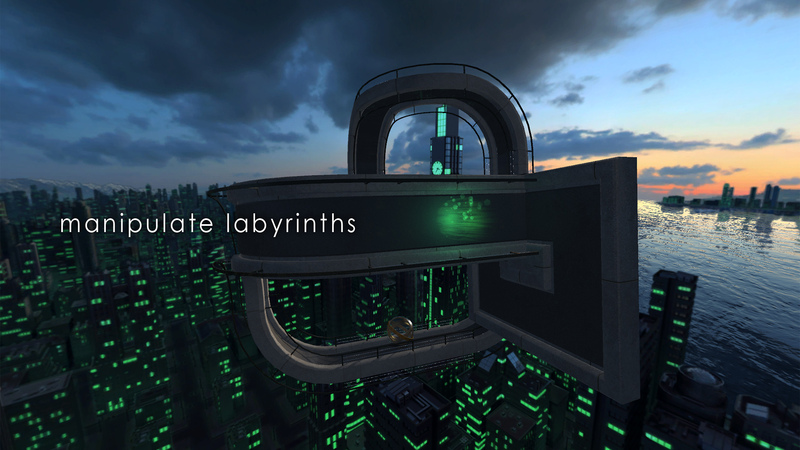 Levels come in all sorts of twisty, labyrinthine styles which definitely look to put skills to the test. Momentum has a lovely look about it that feels somewhat futuristic. Of course, you may not get much time to look at the cityscape vistas when your attention is fully devoted to maneuvering a ball about. Each stage is 3D and requires manipulation in all angles (such as flipping the stage entirely upside down) to complete. As is common for these games, each ball has a weight to it that you must become accustomed to. With precise play, or just really lucky aggressive play, you’ll be able to navigate levels from start to finish. There are 100 levels planned as well as multiple ball types. One amusing sphere skin includes a hamster wheel complete with cute running hamster. Do you want to play Momentum on Steam? Head over to the campaign’s Greenlight campaign and give it an upvote. Those who aren’t quite sure about the game just yet can take a look at the newly-released demo. Unfortunately, this demo is only available on Windows right now. On the plus side, if Momentum reaches its $11,500 goal it will be coming to Windows, Mac, and Linux PCs. Track the progress of the Momentum Kickstarter on our Campaign Calendar.